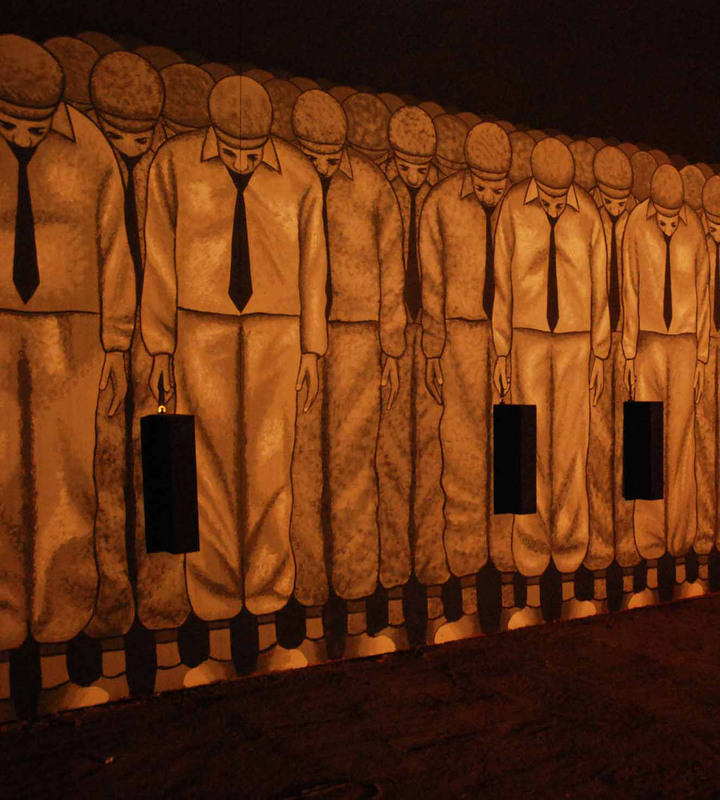 Mural commissioned by Punch Drunk, part of “Tunnel 228”. Following the discovery of abandoned vaults underneath London Waterloo station, Kevin Spacey & The Old Vic theatre teamed up with Punch Drunk to deliver this immersive experience inspired by the cult METROPOLIS movie. 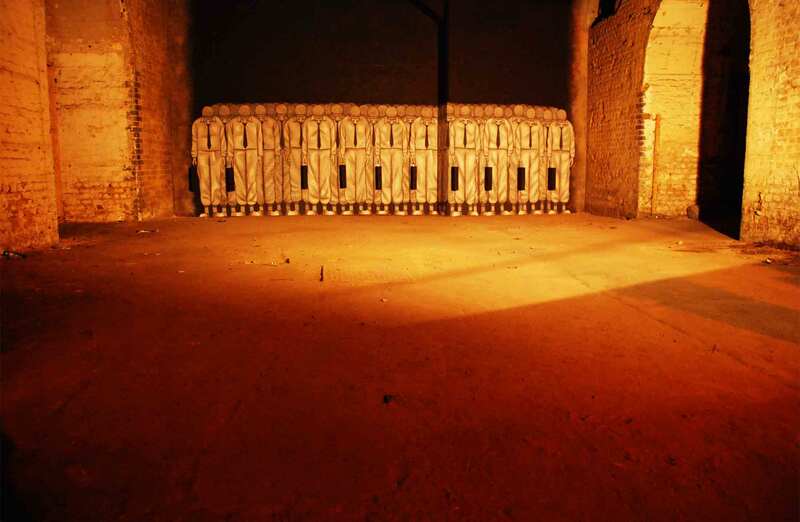 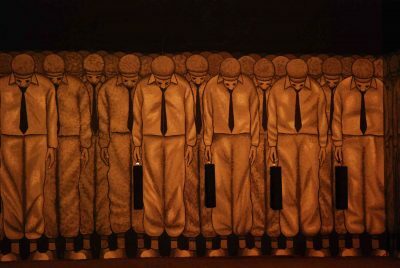 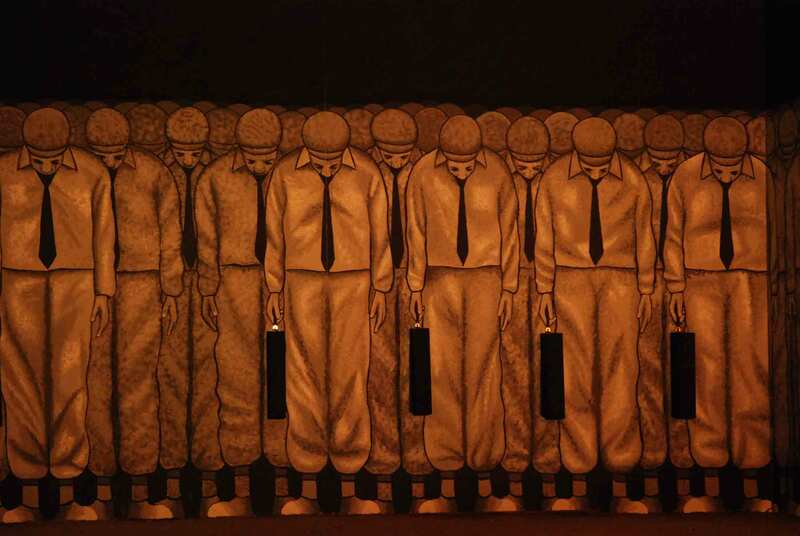 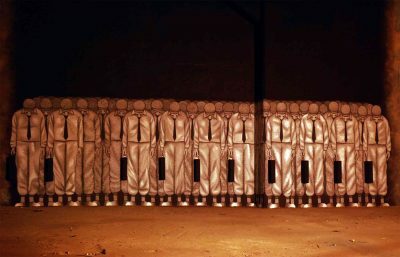 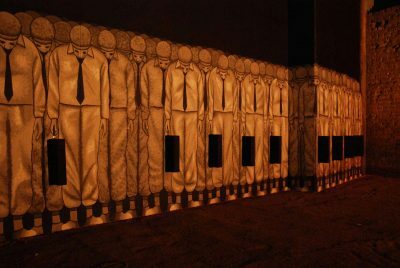 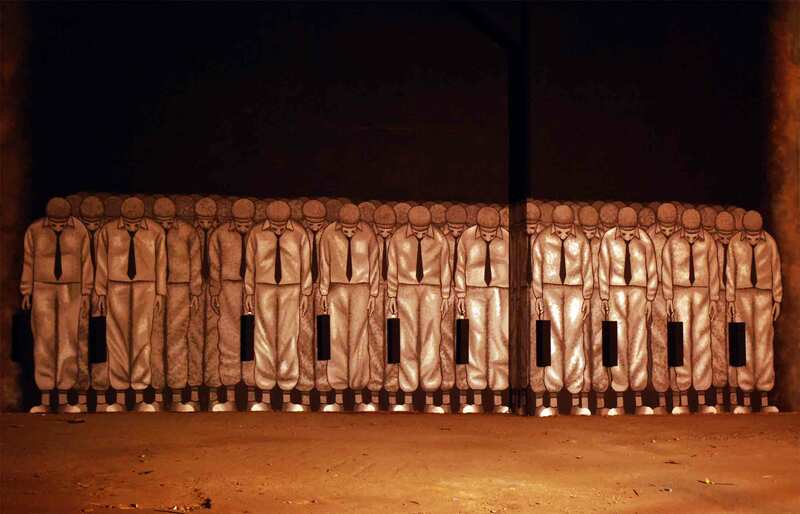 “Metropoli souls” depict the scene of the workers come back down to their underground city, alined, uniformed and exhausted.